Suits is an American 60 minute scripted legal television series, which kicked off on June 23, 2011, on USA Network and is broadcast every Wednesday at 21:00. The show is currently in its 8th season. USA Network is yet to announce the renewal of Suits for Season 9 as well as its cancelation. Sign up to track down the show's status and its release date. 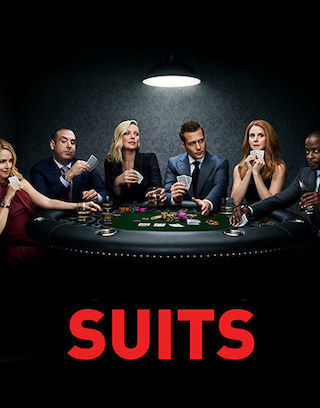 Suits delves into the fast-paced, high-stakes world of a top Manhattan corporate law firm where hotshot associate Harvey Specter makes a risky move by hiring Mike Ross a brilliant but unmotivated college dropout, as his associate. As he becomes enmeshed in this unfamiliar world, Mike relies heavily on the firm's best paralegal Rachel Zane and Harvey's no-nonsense assistant Donna Paulsen to help him serve justice. With a photographic memory and the street smarts of a hustler, Mike proves to be a legal prodigy despite the absence of bonafide legal credentials. In the first part of the season, with Robert Zane (Wendell Pierce) as new managing partner of the firm, Harvey, Louis, and Donna are forced to navigate the shaken dynamic while still standing their ground. Katrina works hard to prove herself and is eventually promoted to senior partner, and Alex and Samantha go head-to-head for name partner. Their battle just about tears the firm apart as Harvey and Robert pick sides. In a last-ditch effort to unify the team, Louis takes over as managing partner at Donna's suggestion, and both Alex and Samantha get their name on the wall. USA Network has confirmed that its hit legal drama Suits will premiere the six-episode back half of its eighth season on Wednesday, January 23 at 10pm ET/PT!